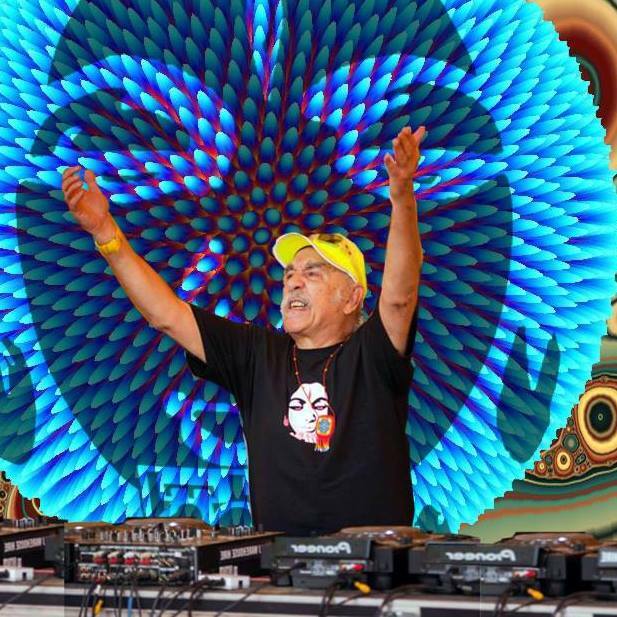 Raja Ram is often referred to as the ‘Godfather’ of the psychedelic world. His enormous contribution to the scene spans across nearly half-a century. He has served as a source of inspiration, and holds the distinction of being one of the major definers of the Psytrance scene. Luca: Good Morning! How and where are you? Raja Ram: Every day is a laugh. It’s all a gigantic tickle. Every gig a new challenge. I will be 75 this year. Feels like I was born yesterday. Went to India when I was 18. India is just the same as it ever was. I am in Goa with the whole family. I’m having so much fun; swimming, chilling and doing tha thing. L: Can you tell us about the first spark that lit the fire of music within you? How did your path merge with the electronic beats? What pushed you into Psytrance? RR: I was always into music. I learnt the trombone/piano/guitar/drums/ but was USELESS at all of them. One day I was walking down Collins street in Melbourne. I heard a jazz flautist playing. It turned me around. I fell in Love like one does with an exotic mistress. I started to study at the Melbourne Conservatory. Got into classical music and Bach and such. Then had some jazz lessons. I was 22 years old. A late starter. I had a band in the sixties -Quintessence. We were big in Germany. We did 5 albums. 3 with Island records and performed 300 or more gigs, but it was when I got to Goa in ’89, and heard the new sounds that I was blown away and started the INFINITY Project with Graham Wood. I got into synths and programming. Although I did have a 303 in 83, and a prophet 600, but couldn’t find anyone to play with, so I stayed home and worked on tunes for a few years. L: The Infinity Project is a beautiful name. What is the story behind your name and project? RR: I got my name in ‘68. It was given to me by a Guru from Mauritius, with whom I studied with for 30 years. Raja means KING and RAM is a Hindu God. Pretty nice name. The Infinity Project became T.I.P. and we made over 50 tunes together. We just wanted to do parties and have music to play at them. The parties became legendary. Everyone came. Amazing times. L: What other genres of music do you listen to? Your musical influences? Has the process of making music transformed you? RR: LOVE BACH and Classical. Love Indian flute music. Which is a big influence. Also funky spunky fancy truancy…wiggly wobbly…pop…all sorts DUB Reggae…the lot really. Floyd maybe my favourite, and we opened for them three times in the UK in the late sixties. Can you imagine that? Wow. Those were the days. Making music is like making love. And of course trance formation. Life changing and enhancing. The best fun ever. The most satisfying also. L: What functions as your muse? RR: My muse is my heart. True feelings. Emotions, devotions, perpetual motions. The tides the planets. The suns and moons make the tunes. L: Creativity and psychedelics work together. Do you agree? 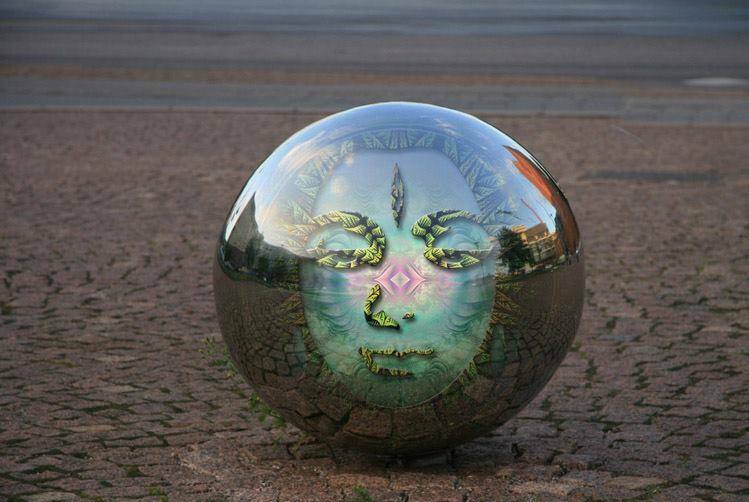 Your thoughts on entheogens? L: An artist has access to realms that aren’t accessible to others. What do you think an artist is? RR: The artist is like an antennae picking up subtle messages from inner and outerspace. Art is the greatest this apart from LOVE. L: What do you think of the Psy-scene at the present moment? Future trends? RR: The future of Psy is so bright we need three pairs of shades. Always changing but slowly morphing into an exhaled dimension of highness. Weird highness and high weirdness. The scene for me has never been better. New places and faces. South Africa next month for the first time. Antaris and Universal Paralello for the first time. Brazil constantly. Australia every year. Shpongle concerts the kick drum playing the same BOOM BOOM. New concerts and new ideas. It’s all happening. A million Dj’s with a million computers. L: Give us a nutshell of the life philosophy that’s dear to you. What’s the best advice you’ve ever received?